The Era 805 Universal Pressbolt can be used on all external and internal doors, French windows and cupboards. Simply press the spring-bolt to lock and use the key to unlock. The rotating hardened steel bolt resists hacksawing and the fixing screws are concealed when in the locked position. 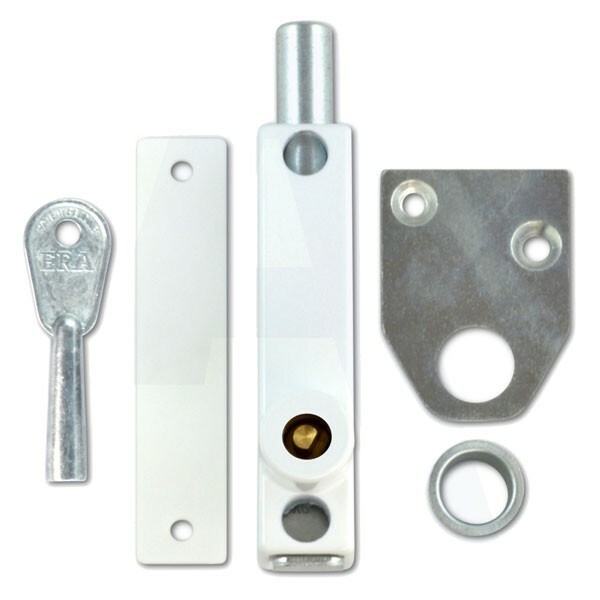 The lock is supplied with a steel receiving plate and ferrule enabling fixing to all types of door jambs.